If you haven’t watched the Fox family drama before or you might have forgotten about the events of last season, now’s a great time to start watching again. In Season 1, the Strucker family learns about and reacts to the revelation that Lauren (Natalie Alyn Lind) and Andy (Percy Hynes White) have mutant powers. Pursued by Sentinel Services, the family has teamed up with the Mutant Underground in order to survive, while rescuing other mutants, whose only crime is being different from the masses. In “eMergence,” the audience is introduced to Reeva, the rebellious mutant from Inner Circle who made major changes to the all-new Hellfire Club. 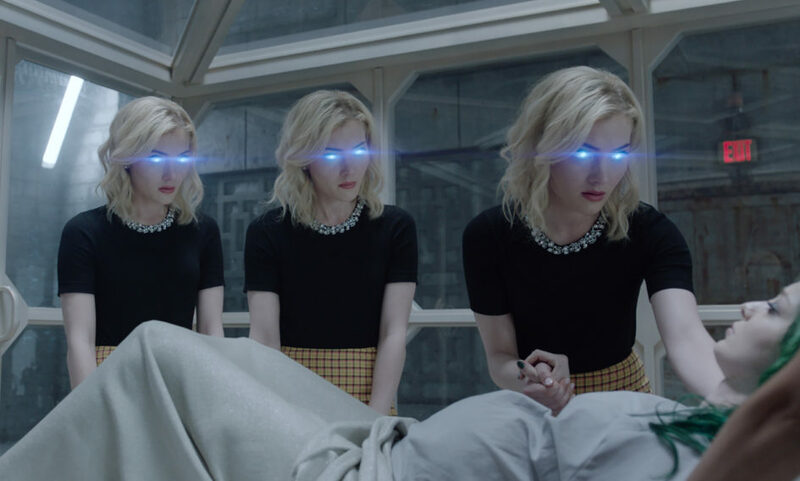 Joined by the Stepford Cuckoos, the ladies have recruited a very pregnant Polaris (Emma Dumont) and the powerfully frustrated teenager, Andy Strucker. This secret society of “evil” mutants look to get their revenge against humanity, with the Mutant Underground as the only line of defense, as the “good” mutants. After much pain and multiple power surges (along with a blackout), Polaris delivers a baby girl, hence the subtitled theme of Season 2: Dawn of the Mutant Age. Get it? The baby’s name is Dawn. Wire is introduced as a new mutant whose powers involve hacking into computers. Thunderblink (Thunderbird and Blink in a relationship) is still a thing. After a lifetime of being hidden, Reed’s powers are no longer suppressed. Andy’s got some really BAD blond hair to pair with his even worse emo attitude. And there’s been no Sentinel Services (yet) to make an appearance. How will the showrunner work in the previously employed agent into the new storyline? There’s a good chance he will make an appearance in Episode Two, but whether the scenario will fit into this season’s stories is yet to be seen. Shatter was nowhere to be found in the first episode, so there’s room to grow the ongoing storyline. Hopefully, Skyler Samuels (as all of the Stepford Cuckoos) won’t wear out her welcome (and screen time). Polaris needs to shine this season and hopefully she’ll soon get back with her baby daddy, Eclipse (Sean Teale). This superhero show seems to be a little more direct in its writing and directing than Legion, which is all over the map (not that there’s anything wrong with that). A crossover between both shows would be world shattering!